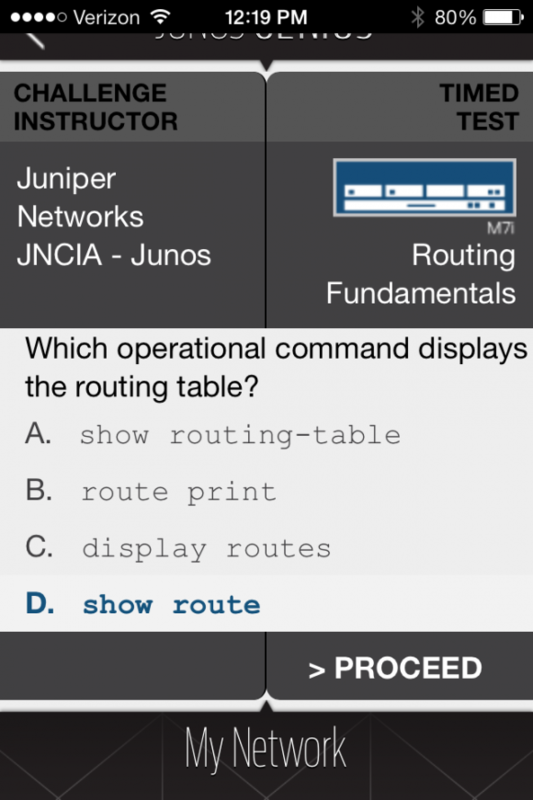 I spotted a tweet earlier this week describing a Junos Genius app. 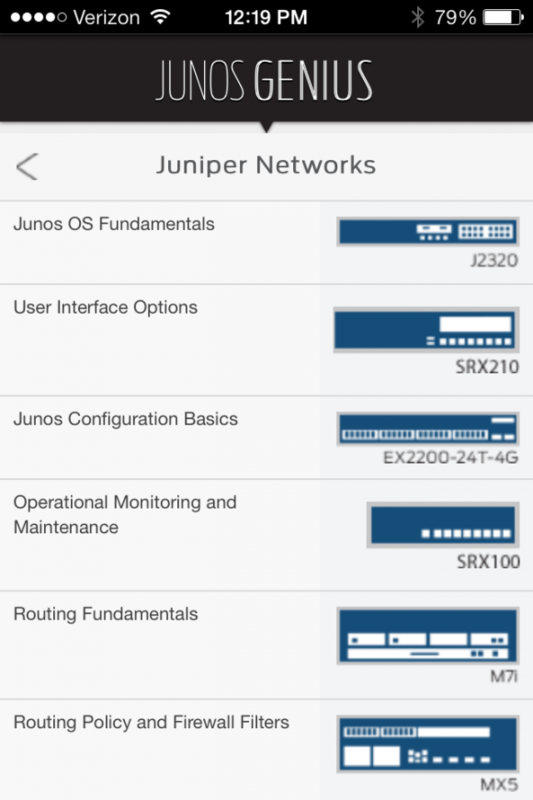 Junos Genius is a free app of flashcards designed to help Juniper certification candidates bolster their knowledge. 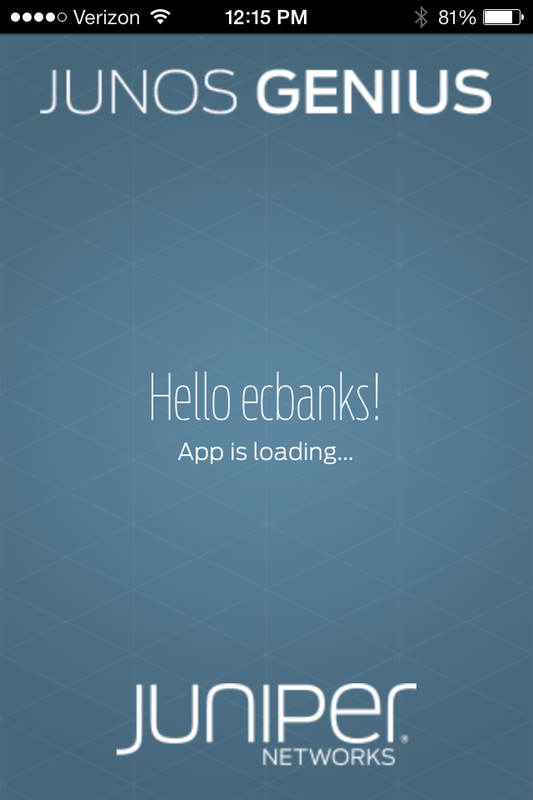 The app includes several different categories of knowledge and delivers questions in a multiple choice format. The question is presented. You choose your answer. You’re told if you’re right or wrong. A simple explanation of the right answer is provided. 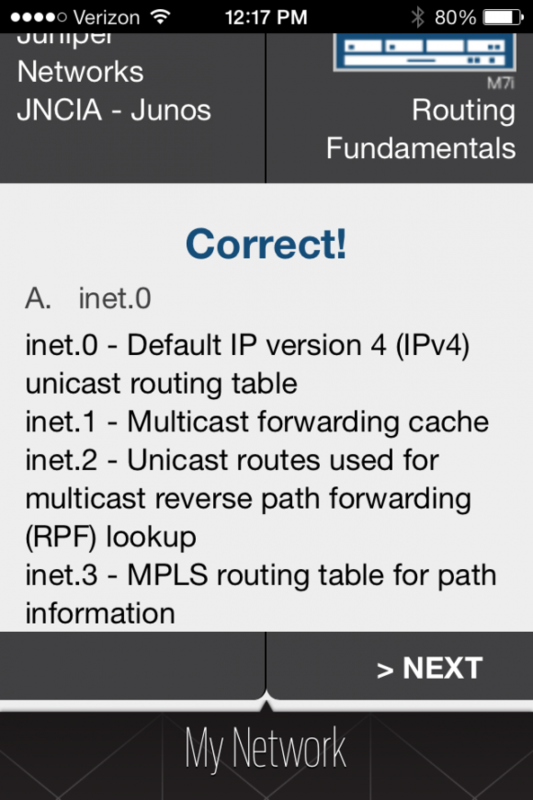 While the app isn’t going to take the place of proper concept study, reading, and hands-on experience, it’s a useful tool to keep your brain boiling on technical topics while prepping for an exam. Only JNCIA level questions are offered at this point, although rumor has it that more cert coverage is coming. 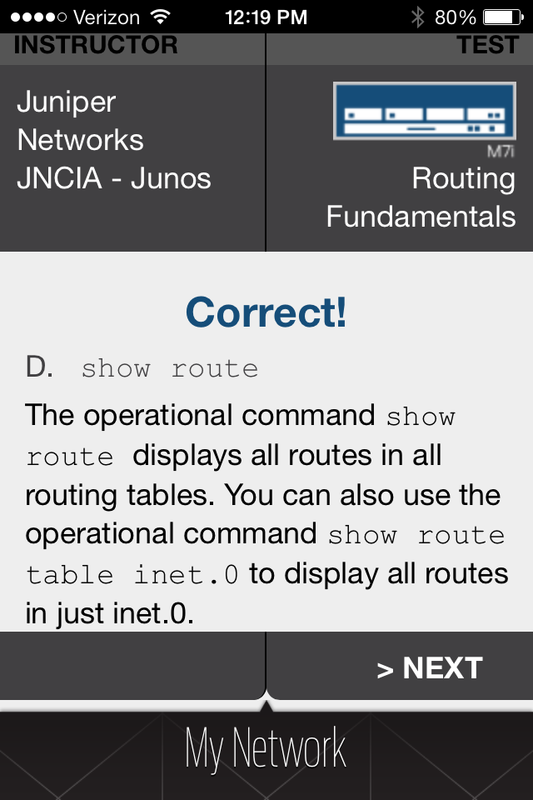 I loaded Junos Genius on my iPhone 4S running iOS 7.0.2 with no problems. Here’s a few screenshots to help you get the idea. Thanks Ethan! Yes – more flash card decks are on the way. JNCIS-SEC should be available in the next month or so, followed by JNCIS-ENT. Nice to hear from you, Liz. Good news!